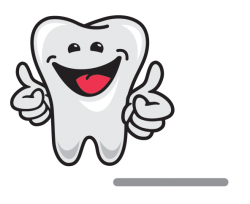 At Teeth On O’Hea, we pride ourselves on providing the highest quality dental treatment while making your dental visit fun, positive and memorable – especially for children. At Teeth On O’Hea, we pride ourselves on providing the highest quality dental treatment while making your dentist visit fun, positive and memorable – especially for children. At Teeth On O’Hea in Coburg, you’ll never stress at the dentist again! We pride ourselves on providing the highest quality dental treatment while making it fun, positive and memorable. Our Clinic is fitted out with state-of-the-art dental equipment and include entertainment systems with classic movies and music, providing a stress-free and relaxing atmosphere for our patients. After experiencing a life changing dental treatment herself during her teenage years, she has since found her calling to become a dentist with the intention to give back and positively impact the lives of many through restoring confidence and crafting unique, healthy, beautiful smiles. She strives to eliminate the misconceived “scary dental myth” through her gentle, informative and friendly approach. Dr Jessica’s greatest love is forming enjoyable relationships with her patients and in guiding them to have life-long great oral health. It is not a rare occurrence to hear laughter through the door as her caring and relaxed nature always makes our patients feel at ease. She uses a direct and personal approach to understand the priorities and needs of each patient she works with. Dr Jessica graduated with a master’s degree in Doctor of Dental Surgery at the University of Melbourne and is a member of the Victorian and Western Australia Dental Association. Her passion lies in cosmetic dentistry and in treating our little friends although she enjoys all aspects of general dentistry. Being brought up in New Zealand and being an ex-National Badminton player, outside of clinic Dr Jessica enjoys an active lifestyle including various sports, hiking, running and snowboarding with her family and friends. Her travel bug also takes her to many places to immerse in the variety of cultures, food, drinks and countless exciting activities this world has to offer! We understand that visiting the dentist can be a daunting experience – but it doesn’t have to be! Our goal is to change the experience of visiting the dentist – we want to reduce fear and anxiety, minimise pain and encourage life-long oral health care for all our patients. Great News! You can get the same fun, positive Teeth On O’Hea experience at your school, childcare or kindergarten! Teeth On Wheels are our sister business who provide an on-site dentistry service to schools and childcare facilities within the greater Melbourne and NSW area. Teeth On Wheels partner with over 250 schools and childcare services across various demographics to provide free educational programs to ensure children have a safe, memorable and positive dental experience to promote and encourage ongoing and effective oral hygiene. If you are interested in more information, please watch our video or visit the Teeth On Wheels website. We have your back every 6 months. Come see our amazing team for your capped check-up and clean appointment now! Refer a friend or family member to Teeth On O’Hea and receive $20 off your next dentist visit. If you are interested in a Bright, White SMILE then this is a special for you. Please call or email us to organise your next dental appointment. Our Coburg clinic is centrally located north of Melbourne making it easy to get to from surrounding suburbs such as Brunswick, Thornbury, Pascoe Vale, Essendon, Hadfield and Glenroy.